Need something to do on Australia Day? From snags to pavs and everything in between, here's how to fill your public holiday with the best food possible. Because not falling asleep by 10pm with a food coma on our national day is simply un-Australian. It's a public holiday, so why not spend it at a public house? The Builders Arms Hotel at Fitzroy will be serving house-made pork and cider sausages as well as lamb skewers off the grill in the courtyard, in addition to the full bistro menu. Over at The Grace Darling at Collingwood, there will be specials on Aussie beer as they play AC/DC and serve up snags. If your favourite part of lunch is the drink that comes with it, The Brunswick Street Cider House has launched a new cider garden in time for their "AusFest", and visitors on the day will get their own personal stein. 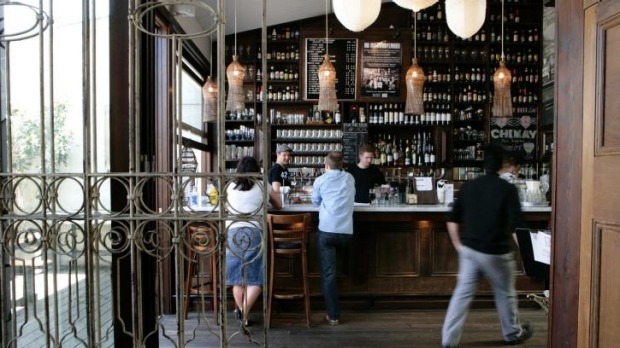 The Young & Jackson Hotel in the CBD will host their Australia Day Craft Beer Showdown; it's $10 a paddle as they pit beers from across Australia against each other to decide which state has the best brew. But if you like your beer showdowns to have a hashtag, The Hottest 100 Aussie Craft Beers (AKA #h100beers) event is once again being organised by The Local Taphouse at St Kilda. Head down to one of the participating pubs for the countdown announcement (The Dan O'Connell at Carlton is offering bar vouchers to those who correctly guess the top 10). Didn't think your standard pub parma could get any more Australian? Think again. Mrs. Parmas in the CBD will be serving a chicken parmigiana topped with grilled prawns and chilli mango salsa. It's more Australian than Paul Hogan playing backyard cricket with Kylie Minogue. Woolworths is sponsoring two big charity sausage sizzles in the city: one at Docklands and one at Federation Square. Tennis fans can front up to Fed Square from 11am-3pm to watch the Australian Open on the big screen while enjoying a snag. Those who attend the Docklands event from noon at NewQuay Piazza can cool off with a drink from Those Girls Iced Teas as they watch performances from Strictly Ballroom the Musical and The Voice Australia contestants before fireworks at 9.30pm. Funds from both sausage sizzles will raise money for the ANZAC Appeal. For a place to eat barbecued meat and listen to Triple J's Hottest 100, you can't go past The Fox Hotel at Collingwood. For $25 you get a plate of barbecued food and salad, as well as a five-beer tasting paddle. If you're hosting a barbecue at your house, why not use it as an excuse to raise money for another worthy cause? Register your barbecue with The Big Red BBQ to raise money for Kidney Health Australia. This year, participants are challenged to incorporate five "kidney-friendly" ingredients into their menu: cherries, eggplant, polenta, ricotta and rosemary. If you're in the city centre on Saturday, Dinkum Pies in the Block Arcade can't be beat for their meat pies. Walk 10 minutes east and eat them under a shady tree at Fitzroy Gardens (or on the way). 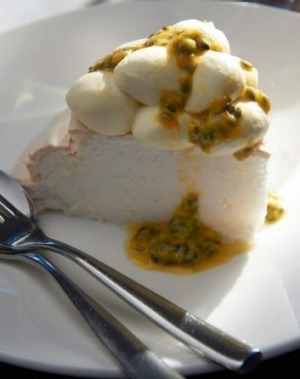 Or pick up a piping hot or frozen pie from Port Melbourne's Pure Pie. 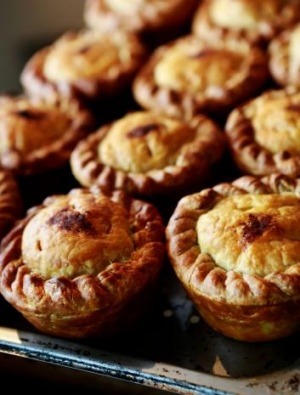 South Yarra's Tivoli Road Bakery will be closed on the public holiday but they will selling pies on Sunday, January 25. From South Yarra, take a punt across the Yarra to the picnic-perfect parkland of Herring Island and check out the gallery and Summer Arts Festival. The Royal Botanic Gardens is another great place to picnic, with plenty of free public barbecues along Alexandra Avenue. Wherever your picnic is, be sure to pop Golden Gaytimes and Paddle Pops in the esky: Streets has released green and gold ice-creams for Australia Day. From Thai to Tibetan, and bao to burgers, the International Street Food Festival at the showgrounds will host stalls selling over 70 cultural food types, plus performances from Aussie artists including Dami Im, Nathaniel, The Cat Empire and Pete Murray. The Royal Croquet Club is taking up residence at Birrarung Marr from January 16 to February 1, with live music, a croquet pitch and, as appears mandatory at this time of year, the tennis on a big screen. Regular food trucks include Gelato Messina, St. Ali, Miss Chu and Mr. Claws, while Beatbox Kitchen, Taco Truck and The Brulee Cart (among others) will join the fleet on Australia Day. For a generous, traditional lamington, Candied Bakery in Spotswood (open on Saturday and Sunday of the long weekend) should be your first port of call. 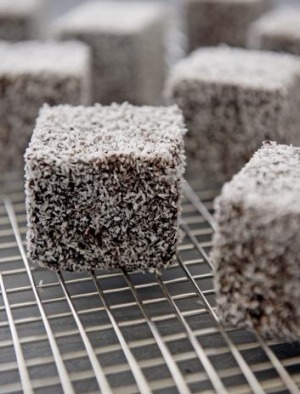 Their sponge, jam and chocolate icing lamingtons have developed a cult following. Chocoholics will be willing to travel for the double-chocolate lammos on offer at La Madre Bakery near Geelong: a decadently moist chocolate cake, dipped in Belgian couverture chocolate ganache and rolled in coconut. They'll be open from noon on Australia Day.